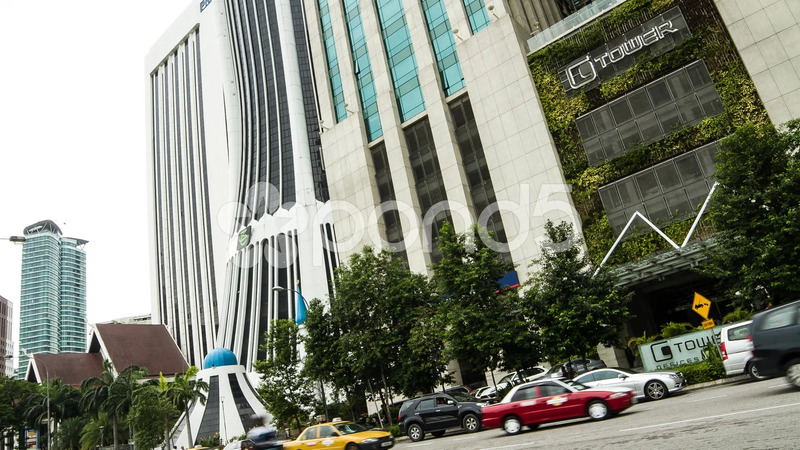 Description: A day traffic timelapse in front of Tabung Haji Tower in KL, Malaysia. Cars moving and stopping on the road can be seen. Tower building sign and blue domes can also be spotted in the shot.